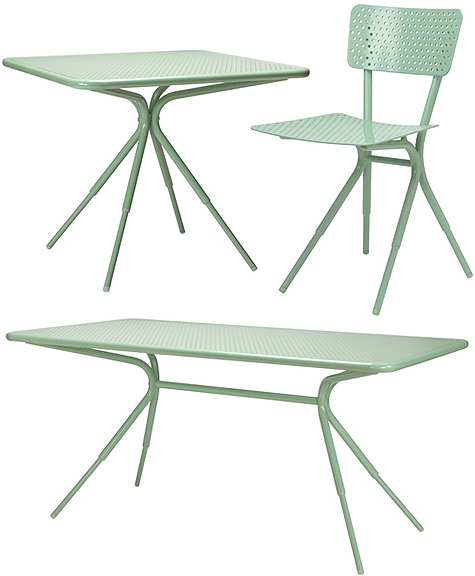 Grasshopper is a range of powder-coated aluminum garden furniture in the loveliest shade of light green, designed by Dutch designer Wieki Somers for French brand Tectona. these are so unique! i love the color and the material is unexpected!